Homebound are a 4 piece pop-punk/emo band from Farnham, Surrey UK; made up of Charlie Boughton, Tom Mellon Chris “Wheatz” Wheatley and Joe Aspell-Beaumont. Having formed in 2014 the band have released 3 Eps with their latest being “The Mould You Built Yourself Around” released through Rude Records in February 2017. 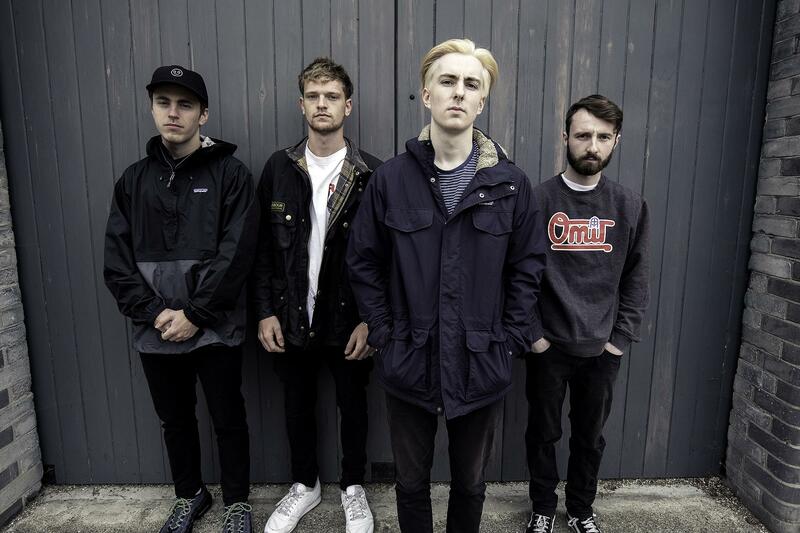 Since 2014 the band have toured with likes of As It Is, Chunk! No Captain Chunk! Boston Manor, Four Year Strong, Set It Off and With Confidence. Since releasing their latest EP the band have been added onto Spotify playlists such as “Rocked.”, “ The Scene” and “Pop Punks Not Dead”. The EP received good critical acclaim with a 4 K review from Kerrang and the first single had it debut play on Daniel P Carters Radio 1 Rock show. The rest of 2017 will see Homebound do some extensive touring including runs across the UK and Europe as well as playing festivals such as Slam Dunk Festival. The band use Rotosound Nickel strings and Drop Zone bass strings. For years Rotosound have always been the British string manufacturer of choice and since Homebound is a British band it makes sense to keep to our roots. They provide great quality products with superb customer and artist care. They offer a wide range of string types and gauges and they are the only brand that offer a 4 string bass set in the gauge we use. We are thrilled to have Rotosound on board.